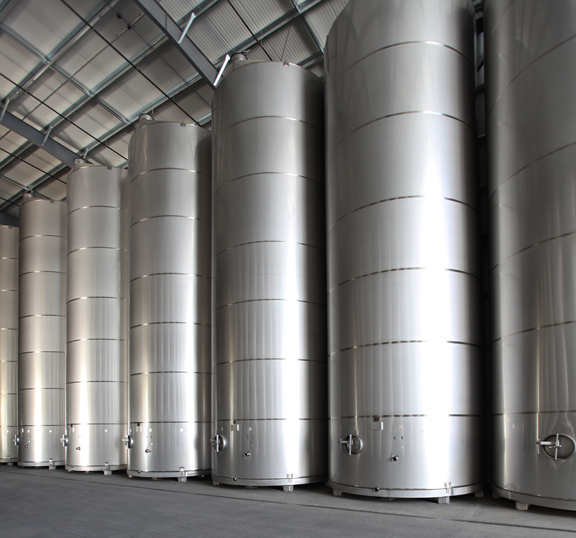 Winemakers appreciate being able to talk in gallons or truckloads or tons of fruit when talking about their tank farm needs to the experts at Westec. The facility pictured was designed with 6500 gallon tanker truckloads in mind. All the tanks were designed in increments of 6500: Half, full, 1.5, 2.5, 3 tankers. These images show about one-third of the tanks in the building. Working with fixed rectangular footprint, the only way to get the gallonage desired was to go up, hence the tall, narrow shape of the tanks on the left. Working with owner, Westec can develop a cohesive plan that includes more than tank circles in a rectangular room. Westec can help plan aisles, access points, doorways, stairwells, catwalks and raceways for utilities throughout the building. This enables other building professionals to better design drains, floor slopes and details to minimize construction time and costs. Westec uses 3D modeling software to develop the ideal design for your exterior tank farms or interior installations. 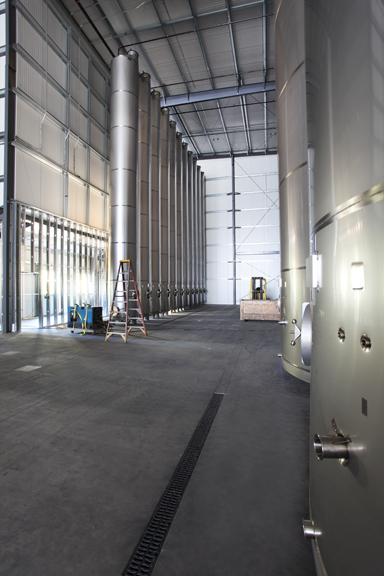 Vintners who provide their architects with tank placement details early in the planning process get superior results, allowing architectural form to follow function. We make it easy to evaluate different configurations and offer options for labor-saving and cost-reduction. We offer delivery coordination along with installation service, and we strive to make sure your equipment is as technologically advanced, well built, easy to maintain, safe and aesthetically appealing as possible. 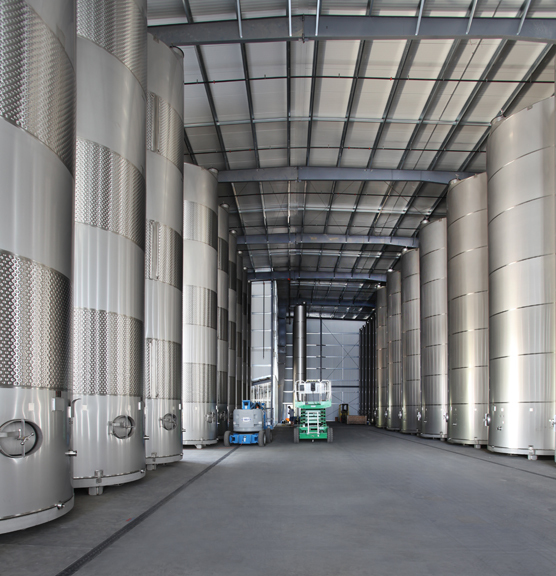 From start to finish engineering of tanks, catwalks, pads, embeds, layout and installation, wineries have relied on Westec for more than thirty years to do it all. Westec's experience brings you the latest design ideas and labor-saving techniques. Our knowledge of city and county building codes will assist you in designing your facility work space. Westec holds (B) general, C60 (welding), and C38 (refrigeration) contractors' licenses. Westec will help not only with field-built tank farms, but also with planning interior installations. Good planning by experienced fabricators can lower construction costs, construction time and reduce costly errors. 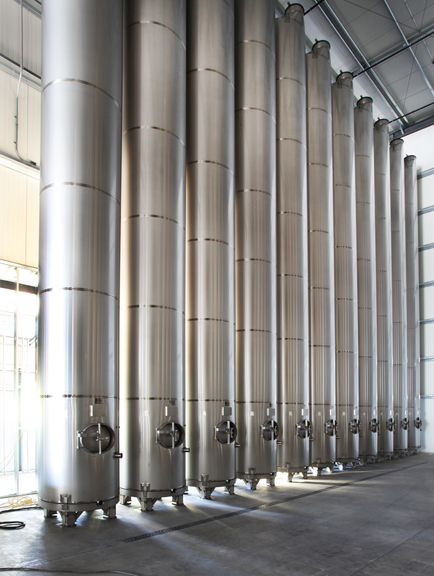 Westec's expert guidance helped us reconfigure the placement of our tanks -- a move that improved productivity and created space for expansion. Their ideas were creative, and we implemented them in two phases. Both were ahead of schedule and within budget."